Sturgeon Lake, over 50 miles long, nevertheless provides fishing opportunities under almost any weather conditions, thanks to its many bays and islands. 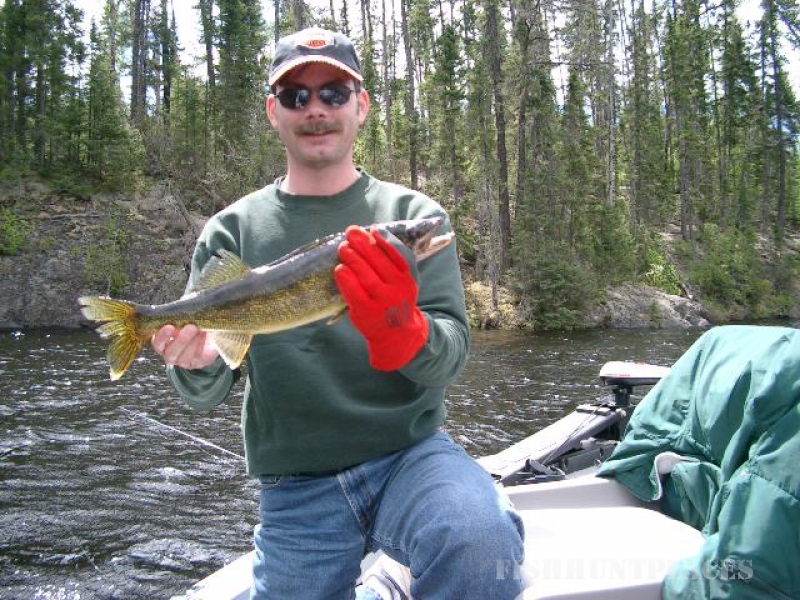 All major game species (walleyes, lakers, and northerns) are numerous. 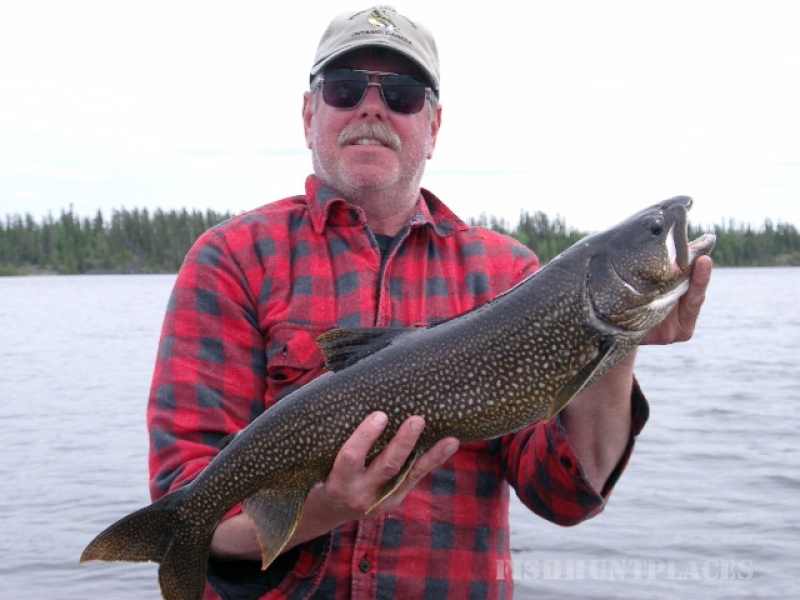 Unlike the fishing in some other camps, which is good only in May and June, Sturgeon Lake provides great fishing throughout the summer and winter seasons. A special camp-wide fish fry on Wednesdays rounds out the basic package. Whiskey Jack's bear area consist of over 400 square miles of exclusive hunting territory. Over 75 baits are maintained on a daily basis with bow shots ranging from 8-12 yards. This provides great opportunities to harvest Pope & Young class black bear. 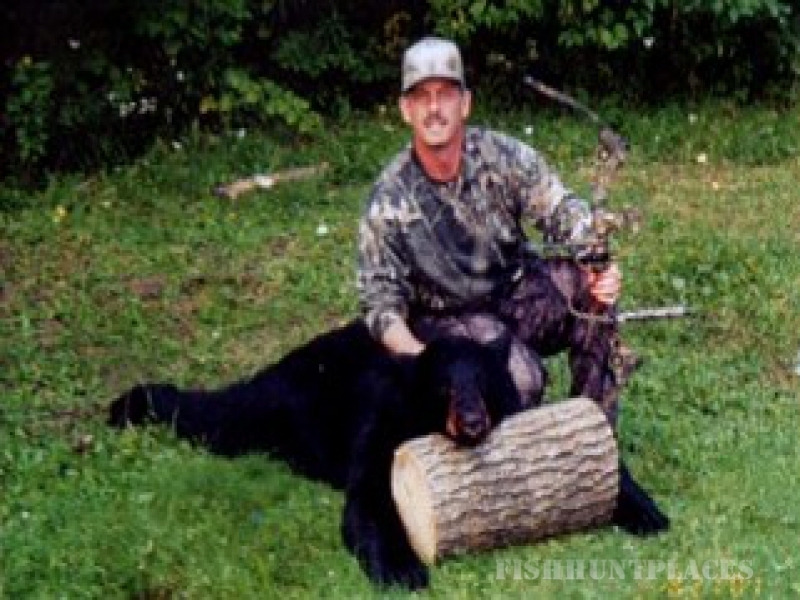 We will assist you in tracking, skinning and preparing your trophy as part of your hunt. Experience the rush of harvesting North America's largest antlered-animal with a bow! 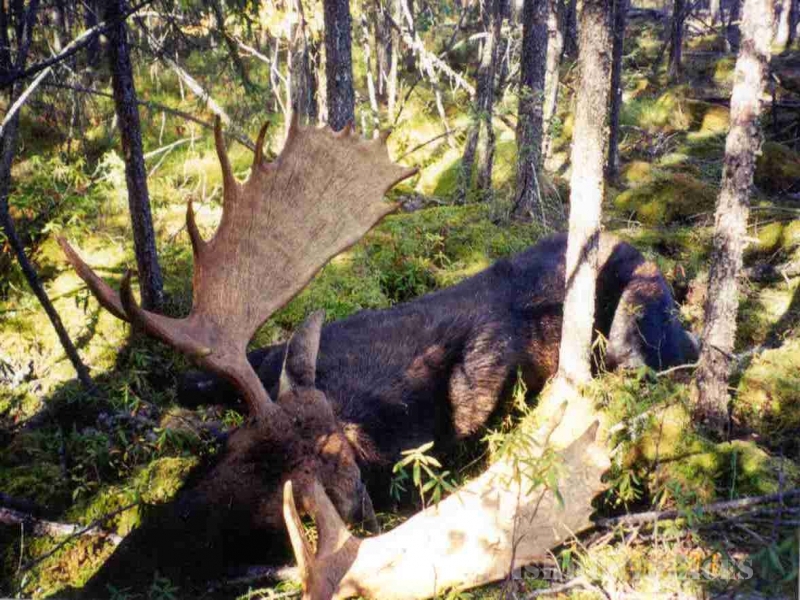 Northwest Ontario's average bull weighs 800-1000 pounds, with spreads of 48"-58" and over! We use the calling & stalking method with most shots being under 40 yards. Guided and unguided hunts are available. All hunts include tracking, skinning and quartering. Hunt Packages are quite varied. Detailed information and reference lists are available if you are interested in bowhunting Whiskey Jack.